For a state that is surrounded on every border by gambling friendly regions, Vermont has allowed very little regulated gambling to emerge within their own boundaries. A small state with a population of under 700,000 people, Vermont is fairly restrictive with the state licensed betting venues they are willing to entertain. There are no tribal or commercial casinos and no carve out for poker or commercial bingo gaming. You will not find any racinos for betting on horses. Vermont’s legal gambling landscape is not an easy to navigate terrain. The best way to seek out legally sanctioned gambling entertainment opportunities in the Green Mountain State is through informed decisions based on up to date and accurate facts. That is the primary objective of legal state gambling guides, to provide clear, concise information about the legalities surrounding gambling in Vermont and other states. It is not our job to convince to partake in or avoid gambling entertainment of any kind. It is our job to make sure you have fact-based data that is beneficial to making an informed decision. We are not making any type of attempt to substitute for or provide professional legal advice or services. We are not attorneys and we are not qualified to provide legal advice. We are simply sharing our insight into the gambling industry based on our extensive experience. The entire range of regulated gambling in Vermont can be summed up with one phrase: charitable gambling. This phrase does include the state’s lottery systems as all funds from the lottery’s revenue stream are directed to the state’s various education needs. While pari-mutuel wagering on horse races was made legal in 1960, there are no racecourses or horse racing events at which to bet. The gambling laws in Vermont are not easy to navigate due to the lack of clear definitions within their statutes. In fact, they do not define gambling, or related terms such as wager and bet. The state’s gambling laws are found on the Vermont General Assembly’s official website in Title 13 Chapter 51 and Title 32 Chapter 239. If you were to search for a definition of gambling in Vermont’s laws and statutes, you would find it simply isn’t there. In order to derive conclusions concerning the legal status of gambling in Vermont, one must delve deeply into the context and relevant text, relying on other language in the criminal code in order to make sense of it. Things are somewhat clear regarding the prohibited forms of gambling in the state. Neither commercial nor tribal casino gambling is allowed. VT laws do dictate that it is illegal to play games for gain, though the term ‘game’ is not defined. This rules out slots, table games, poker, blackjack, bingo, and any other kind of game of chance or skill. You can’t get much more restrictive than this unless you live in Utah where even charitable gaming and the lottery are outlawed. Vermont’s lawmakers are much more relaxed when it comes to charitable gambling. Not only are bingo and raffles permitted, but also casino style games as well, including poker tournaments. Unlike other states that limit the number of annual charitable events that are gambling related, Vermont’s qualified non-profit organizations and groups can hold multiple charitable gambling events every week. Casino night charitable events can be held at least 3 times per year. The Criminal Justice Division of the Attorney General’s office oversees charitable gambling activities in the state, including licensing and enforcement of gambling regulations. A rather unusual inclusion in the regulations is the allowance of alcoholic beverages being used as prizes. This means that organizations have the option of awarding alcoholic drinks to winners of games played at charitable gambling events rather than money or other valuable prizes. The Green Mountain State has a very popular and lucrative lottery system. The Vermont Lottery contributes millions of dollars every year to the state’s education system. They offer 4 state draw games, 3 interstate draw games and more than 60 instant play games. Tickets cannot be purchased online. The lottery program is overseen by the VT Lottery Commission. As is the case in many states, Vermont’s gambling laws do not specifically address online betting. This fact has an up side and a down side. The down side is that since VT has not expressly legalized any type of state regulated online gambling, there are not any online casinos or poker rooms operating within VT. The up side is that there are no prohibitions for players in Vermont who would like to participate in legally licensed and regulated online gambling from offshore betting sites that are operating legally within the industry. Our US gambling laws section provides a more detailed overview on the Federal laws that impact online gambling in America. Offshore gambling sites that are licensed, regulated and located within a governing offshore jurisdiction that has legalized online gambling for its respective territories can legally offer their betting services to players across the globe, including those living in Vermont. By visiting offshore gambling sites that are legitimately licensed and regulated, you ensure no state or US federal laws are being violated. The gambling sites you see recommended in this guide all fall into this category. We have personally verified that they each hold the proper credentials as a legally sanctioned gambling site. As mentioned above, Vermont does not offer any state regulated online gambling options yet. 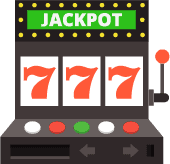 So in order to gamble online legally, players must find an gambling site that is licensed and regulated offshore and outside of the United States. That is exactly what Bovada is, a reputable offshore gambling site that can legally accept US players due to being located offshore. Bovada is actually one of the biggest gambling companies in the world and they have an excellent reputation for being fair and honest and always paying players on time every time. Are Online Casinos Legal in Vermont? Owning or operating an online casino within the state of Vermont is not legal at this time. We do not expect to see a state licensed online casino platform emerging in Vermont anytime soon. However, there are no prohibitions for VT citizens, who are interested in Internet casino gaming at licensed, regulated and compliance certified online casinos that are based offshore. As long as you are selective concerning where you play casino games online, you will not be violating any Vermont state gambling laws. The legal online casinos that we've recommended on this page are all verified as legitimate. This means that they all hold legal licensing, are subject to strict regulatory oversight, and possess compliance certifications based on third party audits. They all offer an exceptional performance, secure environment, and reliable customer service. Is Sports Betting Legal In Vermont? Most gamblers already know that the Federal Wire Act makes US based online sports betting illegal. Thankfully, this law does not extend beyond our borders, and offshore sportsbooks legally offering their services online to players around the world is legitimate. The key is ensuring that you only place bets at sportsbooks that are legally licensed and regulated to operate within the international online gambling industry. Our team of industry professionals is experienced in vetting this type of businesses, and has put several of the top online sportsbooks to the test. 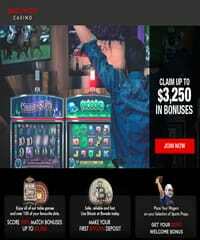 The ones that passed our rigorous evaluations are listed here in this guide, and are all legally sanctioned and accept bettors from Vermont. Our legal online sports betting guide provides a more detailed overview about betting on sports in the US and answers common questions about the legalities. Is It Legal For Vermont Residents To Play Online Poker For Real Money? Vermont seems to only approve of playing poker when it is associated with charitable gaming events. Based on that, they have made no carve outs for state licensed online poker gambling. Players in VT do have access to legitimately licensed and regulated online poker sites that are operating legally outside of the United States. Playing poker online at these types of web based poker sites does not violate any state laws. You do have to still be careful where you play however. Not all sites that claim to be legitimate actually are. Our team of analysts has placed the industry leading destinations through an intense review process to evaluate their legitimacy (licensing, certifications and regulatory oversight), their security profile, their banking suite, and their overall performance. You will see those brands that we approved for inclusion listed on this page. We recommend each of them without hesitation. For more information, you can check out our legal online poker section which offers a much more comprehensive overview on the legalities of playing online poker in America. What Is The Legal Gambling Age In Vermont? Players must be at least 18 years of age to participate in charitable bingo, raffles and any lottery games. Players must be at least 21 years of age in order to participate in any charitable casino gaming. If pari-mutuel wagering were to ever again surface in the state, the minimum legal age requirement of 18 years of age would apply. As far as the legally licensed offshore gambling goes, players must be at least 21 years old to play with the exception of online bingo and online pari-mutuel wagering, which require a minimum legal age of 18. Will Vermont Ever Legalize Online Gambling? While we don’t anticipate it happening anytime soon, we don’t think its an impossibility either. With Vermont lawmakers’ fixation that all gambling must serve as charitable in nature, they might come up with some creative way to combine charitable gambling with an online betting initiative that would achieve those goals. It is simply hard to know what Vermont will do and when. There are opposed to most forms of commercial gambling, yet very relaxed when it comes to charitable gambling. Your guess is as good as ours. Will Players Who Gambling Online Get Arrested In Vermont? There are no state laws on the books in Vermont that make it illegal to gambling online as long as betting takes place at a licensed and regulated gambling site that is located outside of the US. There are also no federal laws that make online gambling at legitimate offshore destinations illegal. Therefore, since you will not be violating any laws, there is nothing to arrest you for. There have been no cases in which anyone in the state of Vermont has been arrested or investigated for placing bets online. So clearly the state has no interest in trying to micromanage citizens who gambling online in their state. They are much more interested in curtailing illegal gambling that takes place within state borders.